Oooooooh what a silly movie. It mixes silly comedy and a western into one. The movie takes place out in the wild wild west. Six half-brothers randomly find each other and decide to gang up to go save their ratskillian of a father who can't keep it in his pants apparently. The boys not only find each other, but themselves as well. They have a lot of crazy adventures and meet some crazy people as well. Like the guy who "invented" baseball. That scene made me die on the inside. Too funny and probably very accurate on how the sport was created. I remember when this film first was in production and there was a lot of controversy coming to light with Native American actors/extras being pissy and saying this was a racist movie. Sure there are some stereotypical roles in the movie and sure the roles of the Natives were stereotypical for the time period it was set in. 1) If you don't want to be part of the film NO ONE IS making you. 2) The movie made fun of every race, gender, and social class during the wild wild west 3) It is a comedy directed and written by Adam Sandler....what did you expect?? I must admit the ending caught me by surprise. I didn't expect the twist. So that was good and I actually liked it. Now this was a crazy cast. Some really good actors; a couple I didn't expect to see some in a film like this. I must admit that it was hilarious that the "hottie" like Taylor Launter playing the dumbass brother with gap teeth. However, the acting was medicore and just decent enough to make sure I kept watching. Overall, this was a fun watch. The storyline had me hooked and I did have a few good laughs. The ending surprised me! It had a good cast, but I think some of the acting was just decent. 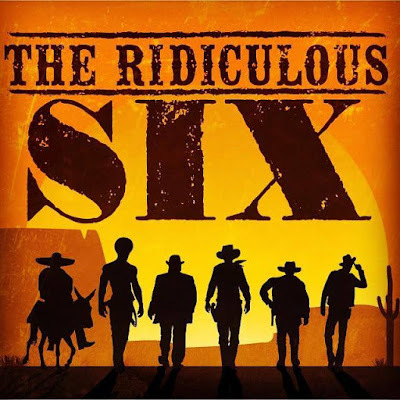 I recommend this if you like comedies and westerns. Not film of the year, but I'd watch it again. Out of five stars, I stamp this with 3. This one was awesome, in that bad way you know. That silly stupid way that if you are sick and it comes on again you will watch it just cos it's badly funny. I don't like westerns and my comedies must be intelligent so...perhaps not for me. Melliane, it is worth a watch.